With over 2,100 quotations from approximately 700 sources, this exhaustive reference tool contains inspiring quotations ranging from the Magna Carta (1215) to the 1990s. 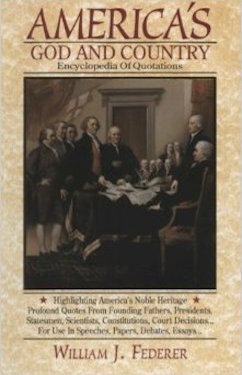 Included are founding fathers, presidents, statesmen, constitutions, court decisions, military heroes, business leaders, scientists, inventors, ministers from a variety of denominations, African-American leaders, musicians, educators, authors, artists, women leaders, British leaders, and more. Ideal for students, teachers, homeschoolers, attorneys, journalists, speakers, politicians. This book was one of the top five finalists in the Reference Works category of ECPA’s prestigious Gold Medallion Book Awards and was nominated for the Freedoms Foundation George Washington Honor Medal in 1995.